The Mind Mirror EEG (electroencephalogram) measures all the brainwave frequencies (Beta, Alpha, Theta, and Delta) at the same time. At any moment of time, you have varying amounts of each frequency present. While measurement of the brainwave frequencies is not needed for hypnosis and hypnotherapy, it is an optional service which can be used alone or with your hypnotherapy experience. Many hypnotherapists are aware of and speak of "Alpha," or sometimes "Theta" as the key brainwave frequency for hypnosis. Actually, all of the brainwave frequencies are occurring at the same time, in a "symphony" of action. In order to create beneficial change the goal is to get the best amplitude ratio between the brainwave frequencies. With this optimum ratio one can give direction to and receive information from the subconscious. The Mind Mirror EEG presents a visual demonstration in real time of these ratios as a bar graph of all of the brainwave frequencies and their amplitude, ie the strength of the electrical impulse. For a successful hypnosis session, one needs to quiet the thinking mind by decreasing Beta brainwave frequencies. This is usually done with physical relaxation. Then, Alpha frequencies are increased to access Theta. Alpha frequencies are increased through stimulation of the imagination usually with multi-modal (see, touch, taste, smell, feel) imagery. Within Theta are memories, sensations, and emotions which affect attitudes, expectations, beliefs, and behavior. Creativity, inspiration, and spiritual insights are also contained within the Theta frequency. With reliable Theta access, one can be more successful in changing behavior, habits, beliefs, emotions and in enhancing physical healing. Delta is usually thought of as the frequency of sleep. While Delta is the predominant frequency of deep sleep, it is also present at other times. Delta is the frequency associated with information that one is not usually aware of. For example, the phone rings and you "just know" who it is. 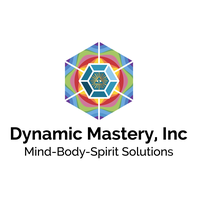 High amplitude Delta was observed by Anna Wise in healers, counselors, therapists, intuitives and those with a high degree of empathy. Helen has observed high amplitude Delta in those with PTSD, and has associated this with the symptom of hypervigilance which is often seen with PTSD. Bottom line. Hypnotherapy provides the content to change the subconscious "programming." The Mind Mirror is measuring the brainwave frequencies. Optimum frequency patterns indicate optimum access to the subconscious. What is an Optimum Brainwave Pattern? There are many patterns. There are patterns of stress, patterns of blocked subconscious content, different types of meditation patterns, and the pattern of creativity. The optimum brainwave pattern depends on what your goal is. The Awakened Mind Pattern (seen below) is considered to be an optimum pattern for gaining access to and receiving information from the subconscious mind. This is the "Ah Ha, I got it" moment. This would indicate a moment of insight, or creativity. A healer, or intuitive, would have this pattern with an increase in the Delta amplitude (wider purple). To the right is a display of the Mind Mirror of a client with an Awakened Mind Brainwave pattern. As you can see, the bars of color are going in and out. This is the electrical frequency amplitudes in motion. Our brains are not static, there is constant change. From the top down, this pattern shows decreased Beta (in yellow, orange, and red) ie, decreased thinking and thus a quieter mind; increased Alpha (in green), ie increased imagery; the correct ratio between Alpha (green) and Theta (blue) which gives one access to creativity and memory (ie, the realm of the subconscious mind). Delta (purple) is the realm of the unconscious mind. Do I Have to Have Mind Mirror EEG Reading To be successful with hypnosis? Not at all. Helen is already skilled with hypnosis. The purpose of the EEG is to have an objective feedback of your brainwave states. Some people like to know that "this really exists." If one is not getting the results expected, a Mind Mirror EEG evaluation may be the key to finding where the block to the flow of information (as evidenced by the brainwave patterns) is. How Has Helen Used the Mind Mirror ? In a clinical setting, watching the brainwave patterns can give important information which is not always observable in a regular hypnosis session. Amazingly, Helen has observed those who are physically relaxed (as evidenced with Galvanic Skin Response and Blood Volume Pulse) while still mentally agitated (excessive Beta). This is called a "mind body split." If there is too much Beta or thinking, Helen leads the client into a quieter state of mind. Or, as in the mind body split, by creating unity with the mind and body and then going deeper into both physical and mental relaxation to access the content of Theta. If there is not enough Alpha (the "bridge") to the subconscious (Theta), then the client is guided to increase imagery. Hidden content is indicated by "not enough" Theta or by too big a gap between Alpha and Theta. As "hidden content" is the culprit for blocked conditions in life, Helen then guides the client to improve this ratio between Alpha and Theta in order to access this information and process it. While increased Delta is usually associated with healers, empathy, and intuitives, Helen has also seen increased Delta in clients with PTSD (Post Traumatic Stress Disorder). In this instance, increased Delta indicates hypervigilance, a common issue in PTSD. With increased Delta, the client may be guided to decrease Delta, or to change the "content" (ie, the fear and horror associated with the past trauma) within Theta. Once the trauma is released, one can then more easily discern the reliability of the information obtained through Delta. What If I Want to Know My Brainwaves? This is a different service than hypnosis and hypnotherapy. An individual Mind Mirror session may be set up for this purpose, or one can attend the Awakened Mind Training. 2. Come to the Awakened Mind Training. what is an awakened mind practitioner? An Awakened Mind Practitioner has been trained in the use of the Mind Mirror EEG Biofeedback machine, as well as in the Anna Wise protocol for individuals and groups. Helen was trained by Anna Wise in 2001-2002, and certified June 2, 2002. Training included 4 Practitioner Seminars, 2 Practicums, and an independent study.